That time is coming close for those Summer Marathons and races. We have a large group Why Weight Ireland runners taking part this year in the Kildare Marathon, Half Marathon and 10k and now have less than 9 weeks until they run around Kildare and the Curragh. The Flora womens mini marathon (10k) is also coming up in June so the next few weeks and months will be jam packed with training to prepare for the big day, whichever race you are doing. For those taking part in one of the summer marathons you may have already been participating in a few of the 5k and 10k races but now there are lots of longer races such as Half Marathons coming in to help even more with the preparation. Training for the Full Marathon does take a lot out of you – but I really would recommend fitting a few Half Marathons in as part of your training so that you can practise running one of your long runs at “race pace” it will test your mental strength as much as it does your physical fitness and help to improve your running and also give you a positive boost. At the moment I am up to 18 miles with my long run for the Kildare Marathon in May, next weekend I will be running the 13.1 miles Half Marathon in Wicklow (alongside other Why Weight Ireland members). For me even though the distance is shorter, I find running the Half Marathon an important part of training as it gives me an idea of what is a comfortable and achievable potential pace for the Marathon. I will start with a 2-3 mile warm up, then race 13 miles and add a 2 mile cool down which will take me nicely to 18 miles in total. For others taking part in any of the up and coming Half Marathons over the next few months here are some tips on how to win the challenges throughout the half marathon (even if you are new to running and tackling a shorter distance – the same rules apply so just adjust the miles to suit the distance) Each part of the half marathon has different mental battles and for some, it will be the furthest you have ever ran before so read on and plan ahead and run the best race you can! When you start your half marathon, you’ll feel strong and confident, but you have to tell yourself to hold back. The first few miles should feel easy; after all, you’ve trained for this almost every day for the past few months. Running your first half slower than the second half (called a negative split) is the key to running a smart and enjoyable half marathon. Take it slow. Your body will thank you during the later miles. Don’t be worried if you see a lot of people passing you. Remember the tortoise and the hare? They may be starting out way too fast, so you’ll catch them later – at your own pace. Going out too fast is one of the most common racing mistakes. Try to stay as calm as possible for the first 5 miles. Resist the urge to high five spectators and jump up and down when you see family and friends cheering for you. You’ll want to conserve your mental energy for the rest of the half marathon. Start breaking up the race into smaller segments. It will make the distance feel more manageable. After I’ve hit 6 miles I tell myself I’m half way there (not quite but mentally I know that final 13th mile will be running on adrenalin so 6 miles is a good mental half way point!). At 8 miles I tell myself only 2 more to go until the home straight and then of course you hit 10 miles and there is only another 2 miles left until that final push for 1 mile! Your mental toughness will really start to be tested during these miles. Don’t give into periods of self-doubt and discomfort. Remember all those miles you ran and the training you did, and have faith in it. Think about how hard you have worked and how rewarding it will be to complete your half marathon. Here’s when you really get to use all those boredom-battling tricks you tried out during your long runs. Do whatever it takes to keep your mind occupied: Sing songs, play mental games, count people, talk to other runners. You may feel a little discomfort during these miles. You’ll definitely feel tired. Let your mind take over from your body and try to focus on the outside — the people cheering, the spectator signs, the other runners, and even the scenery. At this point in the race, you need to dig down deep for extra strength. 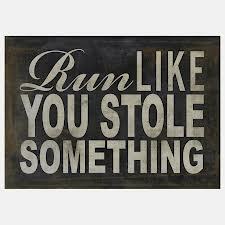 Use your running mantras that you used during your training runs. Remind yourself what you’ve sacrificed to get to this point and how you’re going to feel when you cross the finish line. Remember how you’ve worked through fatigue during training and how you can do it again. 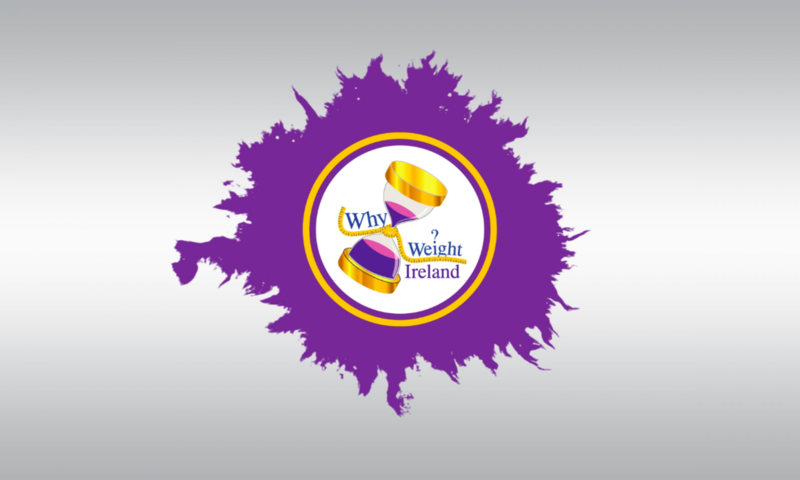 We have several Why Weight Ireland members racing on Sunday in both the Wicklow 10KM and the Wicklow half marathon. Everyone has been training hard and this race will give them a great idea of how a big race feels and will be less in awe for when the big day comes along in May at the Kildare Marathon. When you have been pounding the roads training day in and day out – it is a great idea to take part in a race to see how you get on. How is the race organised? How will you deal with the nerves? How will your pace go when seeing others run ahead of you? There are so many situations and feelings you can go through and competing in a race will give you an idea on how you are going to cope at the main event. Which ever race you take part in, make sure you enjoy it and be proud of yourself for taking part.